Sorrento Door Handle on Round Rose, Paris Design in Polished Chrome Finish. 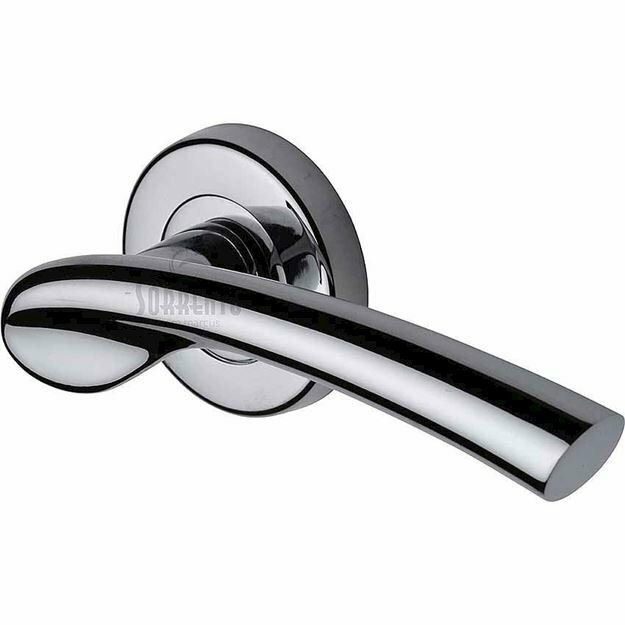 Paris door handle in polished chrome finish. Lever length 133mm with a projection from door face of 57mm. 53mm diameter x 11mm deep round rose. Sorrento bathroom turn and release in polished chrome. Sorrento keyhole escutcheon in polished chrome finish.